As businesses worldwide are hugely dependent on experiences their customers are offered, the time has come to pay special attention to evaluating the quality of experience your customers are offered. Therefore, you must ask your call center service providers to pay special attention to this aspect, and must undertake relevant initiatives that can help you adeptly gauge the quality of experience your customers are offered. 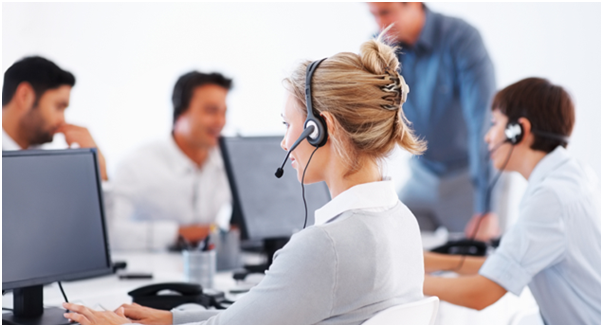 Numerous call center companies worldwide have therefore stated paying attention to Customer Sentiment Score (CSC). Customer sentiment score is a customer service feature that helps businesses in comprehending customers’ sentiments, feeling, or opinions regarding varied business offerings. This helps organizations in adeptly predicting or anticipating the happiness or disappointments of customers, prospects, or leads so that they can be offered proactive assistance and guidance by customer service teams in the most efficient manner. Plenty of call center companies therefore follow the policy of customer sentiment score evaluation. This has certainly helped call center firms in not only monitoring the experience that customers are offered, but also in developing a complete insights regarding the ways in which customers can be offered top-tier support services. Apart from all these, by evaluating the customer sentiment score timely, you can conveniently learn about the pitfalls or mistakes that your support functions are laden with. This will certainly help you improve the overall quality of your customer service functions. Therefore, businesses must collaborate with outsourcing companies which can help them by evaluating customer sentiment score timely, in the most proficient manner. How call center companies implement customer sentiment score evaluation policy? Call center companies must start embracing new technologies that can help them contact every customers through text messages following every call that involves conversation between a business firm and its customers. Whenever a customer would contact a call center executive for any reason, then the customer would receive a text message at the end of the call. That text messages should help customers rate the quality of experience that agents have offered. These text messages should mention that customers can share the type of experience that they are offered through toll free reply. Numerous call center companies have the policy of categorizing the quality of experience in five different sets, and those categories can help customers decide whether their customer service experiences were excellent, good, bad, below average, or pathetic. These text messages must have appropriate alphabets or numbers that are appropriately matched with each type of quality of customer service experience. Customers can revert to those text messages, and can conveniently express how their experiences have been. This certainly helps call center companies in keeping a close eye on the experience customers are offered on various points of contact. More importantly, by evaluating customer sentiment score timely, call center outsourcing companies can help businesses in identifying all the key areas of customerservicefunctions that need immediate attention. Lots of call center companies include numbers in these post call messages, and these messages guide users about the significance of those numbers in rating their experience. Various service providers use numbers from 1 to 5, wherein each of those numbers talks about the quality of overall customer experience. For instance, a text message might reveal that if you would select “1,” then it means that you are offered great experience. On the other hand, if you would “5,” then it means that you are not at all satisfied with the support solutions you were offered by customer care executives. This certainly helps customers in expressing their opinions regarding the experience that had with agents during telephonic interactions. More importantly, lots of customers feel that it is value-centric aspect of customer care services that certainly paves way for stronger bonds between customers and businesses. As this can help businesses in developing enduring bonds with customers, various reputed outsourcing companies worldwide have started paying attention to evaluating customer sentiment score. By evaluating customer sentiment score, call center companies can add value to your business offerings. More importantly, this can help you make informed decisions regarding all the modifications that your customer service model needs.One of the most advantageous aspects of evaluating customer sentiment score is that it helps businesses in developing complete, accurate customer insights in the most cost-efficient manner. To evaluate customer sentiment score, you do not need ultramodern infrastructure or you do not have to invest plenty of resources.Therefore, you must team up with expert call center outsourcing companies which can help you evaluate customer sentiment score adeptly.